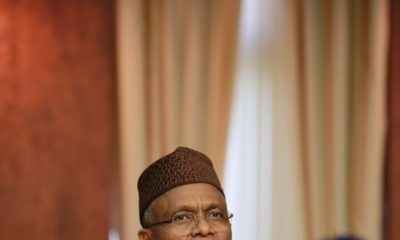 A video has surfaced on the internet of Kaduna state governor Nasir el-Rufai saying former president late Umar Musa Yar’Adua passed after he tried to fight him. El-Rufai, in the video, looks to be addressing guests at an event, speaking Hausa. 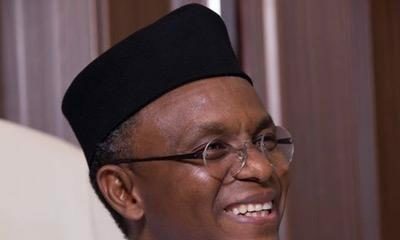 El Rufai time is coming when he will be the one in the grave. These mere men think they are invincible. The wicked never goes unpunished. Short man devil! He’s trying to arrogate to himself powers that he doesn’t have. If he’s so powerful why haven’t OBJ and Atiku passed on? UMY was ill and he died of natural causes. EoS!! No be small. My igbo friends will say “ede mpumpu.” Well once a cheat always a cheat. It is the shorty complex working overtime. Kevin, accept your height for what it is. conquering more women (or so you think) will not add physical height to your life. Reckless comment to be made by a mortal about another mortal. Thing is tomorrow is not guaranteed for anyone and none of is coming out of this alive. Eni ti o wa laye o ti mo iru iku ti o ma pa ohun. Why you never kill OBJ, GEJ? 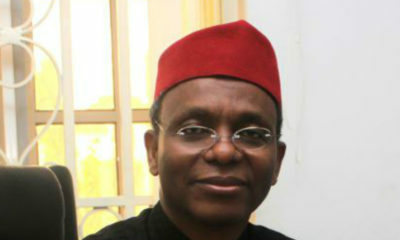 His nobody el rufai your not up to the last person in yaraduas clan. SO shut up you little man. Do not misquote or get confused of what gov El -rufai is telling the people. He is just warning whoever wants fight him without any faults will have himself to blamed because God may not agree and will definitely deals with the matter accordingly as He deemed it fits.The gov is a good man and cannot harm anybody talk less of killing, after all, he is not a criminal or wicked leader. Yar adua’s death was just a coincidence at the time he was not taking it easy with the El rufai but has not and has nothing to do with YARADUA’s death. So God killed Yaradua because of El Rufai? El Rufai should go ahead and live forever then ?? Some of us express enthusiasm about 2019 as though our votes will count. Jega rigged it for APC in 2015. We all remember how they got 1.9m votes in Kano, and there was no single void vote, and the Kano REC and his family died mysteriously soon after. Buhari was not even in power then. So when he entered he secured his 2019 position by making strategic appointments at INEC. Ordinarily, Elrufai should struggle in Kaduna but given his relationship with the emperor I doubt he would lose. If Buhari is alive and well by 2019 he will be declared the winner of the election. We are already running a military system of government. The way defence headquarters declared IPOB a terrorist organisation the other day is exactly how they used to pass decrees and edicts back in the days. All the emperor needs to do is deploy soldiers to help the already biased INEC, and voila, he’s declared the winner. Easy! the audacity. can you blame him? who dash him power? and the people complain after the fact.